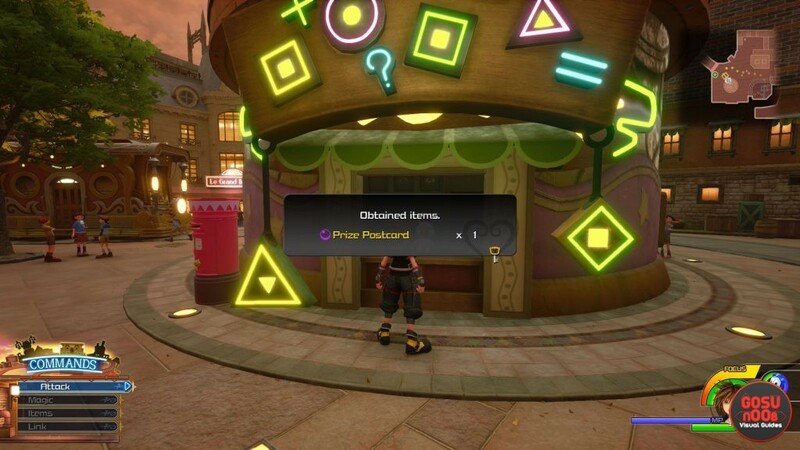 Moogle Shop Prize Postcards in Kingdom Hearts 3 are small rewards you get in the game. People have been wondering how to get the Kingdom Hearts 3 Prize Postcards, because it seems that some players have obtained it seemingly out of nowhere. And then, there’s the matter of what to do with them. How do you use the Moogle Shop Prize Postcards in KH3? If you’ve been asking yourself these questions, wonder no more. Here’s our Kingdom Hearts 3 Moogle Shop Prize Postcards – How to Get & Use guide to clear things up for you. Where to Use & How to Get Prize Postcards from Moogle Shop in KH3? To get the Prize Postcards from the Moogle Shop in Kingdom Hearts 3, all you have to do is just spend money. Hell, you’ll likely get the first Postcard after visiting the Moogle Shop for the first time. Further Prize Postcards will unlock as you spend more money. Essentially, just keep playing the game and drop some Munnies every now and again. You’ll have to do that anyway, so it shouldn’t be too much of a problem. Once you have a postcard, Sora will quip about a mailbox (or post box, if you prefer) in Twilight Town. So, off to Twilight Town we go. Of course, you don’t have to jump back to Twilight Town every time you get a postcard, but pay the place a visit when you can. From the fast travel point, the Moogle Shop will be right in front of you. The post box is immediately to the left of the shop. Approach it, and interact with it (Triangle or Y) to chuck the postcard inside. In return for each postcard that you mail, you’ll get some synthesis materials as a reward. That about does it for the Moogle Shop Prize Postcards in Kingdom Hearts 3. In case you need help with something else in the game, check out some of our other guides, including Starting Stats & Classes – What to Choose and Transformation Animations – How to Turn Off. We’ve also got you covered on the locations of all the Hidden Mickey heads, or Lucky Emblems, such as San Fransokyo Lucky Emblem Locations and Caribbean Lucky Emblem Locations.